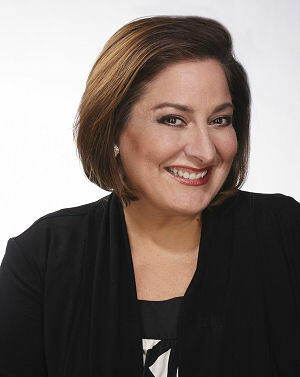 Laura Geller of Laura Geller Beauty is a QVC favorite. Her products are beloved by makeup mavens, so we invited her to take her place In the Hot Seat for Beauty News NYC this month. We picked her brain and she discussed Spackle –not what you’d think—Hershey’s Kisses, Baked product (again, not the kind you nosh on) and more. BN: What is your favorite product you’ve created and why? LG: My absolute favorite product is Spackle, our innovative under makeup primer that infuses good-for-you ingredients into an amazingly lightweight formula. It creates the perfect canvas for make-up to last all day! At the same time, Spackle also helps the skin retain moisture, feel softer and look smoother. BN: Has there ever been a product you’ve created that didn’t take off and you had to discontinue because the public just didn’t “get” it? LG: We’re always launching new products and improving our formulas, based on the latest trends and new technologies that are developed. 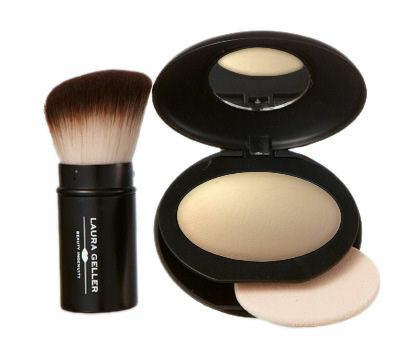 I love that Laura Geller Beauty is so committed to innovation because I know I can always tell our customers that our products are truly the highest quality and most beautiful formulas out there. BN: One product you haven’t created that you absolutely love and use? LG: I have always been fascinated by other beauty product categories and I am always exploring what might be the best way to create fantastic products beyond color cosmetics. Stay tuned! BN: What is your No. 1 beauty philosophy? LG: I always encourage women to have fun and pick products that enhance your own individual beauty – to help you to become your most beautiful self, from the inside and out. Beauty products should make you smile! BN: Is there a universal tip you can share for our readers regarding makeup application, usage or style? LG: Wear makeup that reveals your most beautiful self! Whether you want a natural, no-fuss look or an easy way to try the latest beauty trends, use products that make you feel joyful and confident. BN: What are your key launches for Fall 2013? LG: I am so excited about one of my key launches this fall – new Baked Elements Foundation, which will be available exclusively through QVC. A brand new innovation in Baked, the foundation is formulated with Italian water from a thermal spring in Italy. The revolutionary formula delivers luxurious, matte, buildable coverage while essential elements from the spring water nourish and hydrate skin from the inside out. And powerful minerals and antioxidants protect and improve skin texture all at the same time! Our Baked products start out as liquid pigments that are baked for 24 hours on terracotta tiles. The powders are crafted without additional powders or fillers, so the pigments seamlessly match your natural skin tone and wear true color, leaving you with luminous, healthy looking skin and color that wears beautifully all day. I am so lucky to have pioneered our renowned Baked products. LG: I adore Hershey’s Kisses! They are the perfect bite-size indulgence and even better, they don’t break the bank.